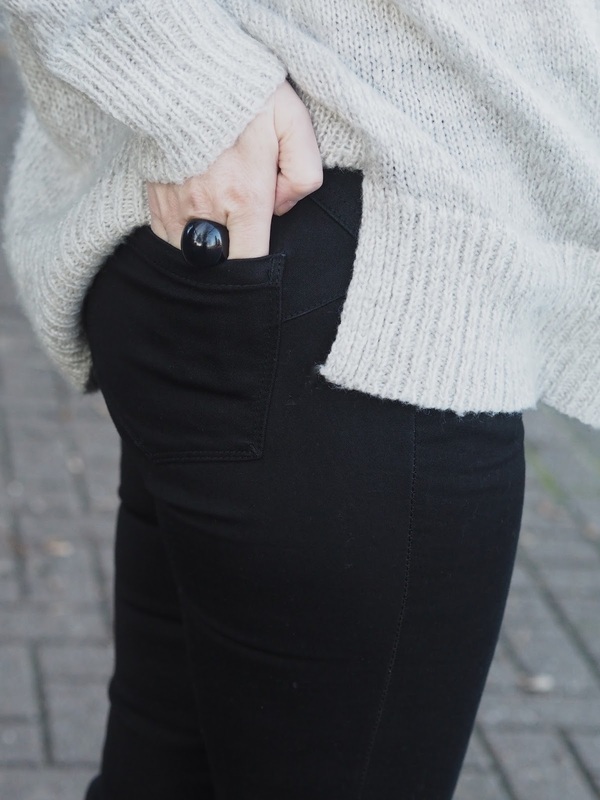 Winter casuals featuring turtle necks & lift & shape jeans! Keeping it casual is my thing! Don't get me wrong I love to play dress up (no, get your mind out the gutter, not in that way!) but you can't beat casual for everyday chilling can you? I'm really loving big, hang over your hands type jumpers right now and this light grey turtle neck is my fave. It's from New Look and comes in at a bargain £9.99. 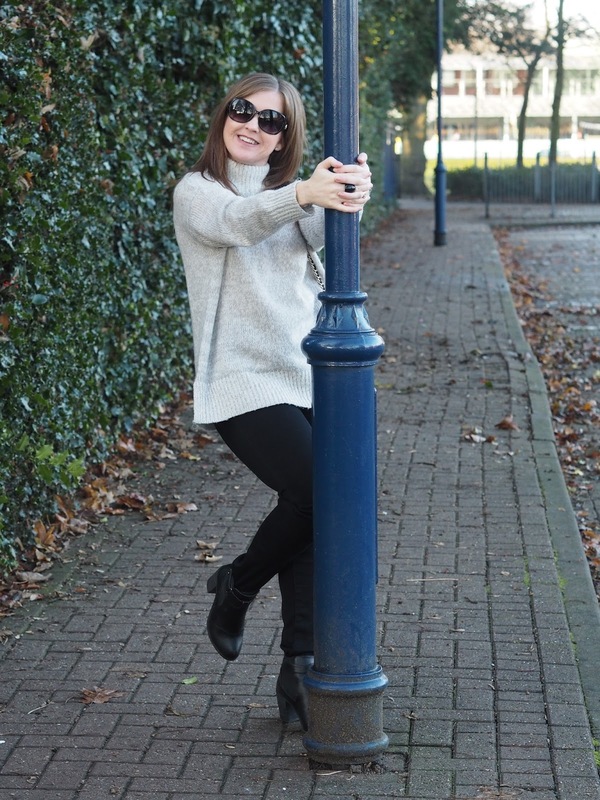 It's a lightweight jumper yet still cosy and warm with a really lovely soft finish. 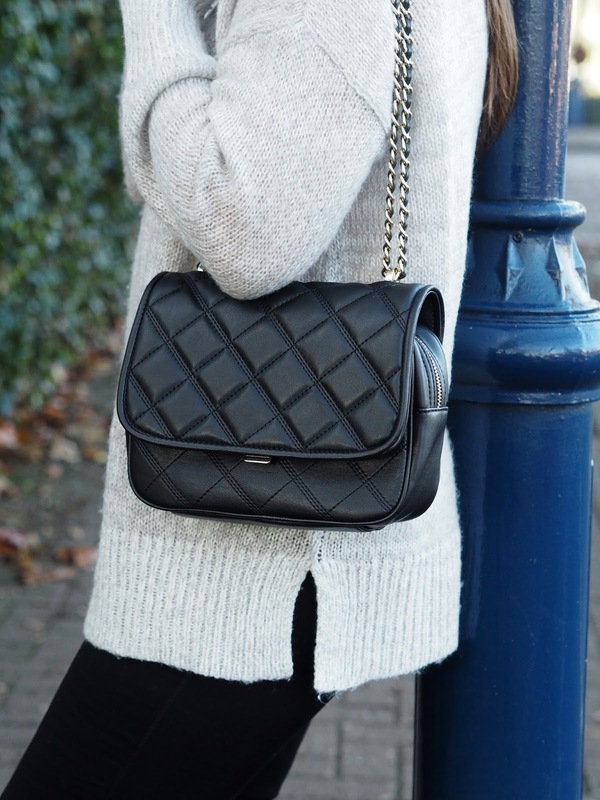 Pair your turtle neck jumpers with skinny/straight leg jeans and boots and you can't go wrong! These ones are straight leg jeans from M&Co who recently got in touch to see if I'd like to try their new range of lift & shape denim*. As I need all the help I can get (especially after stuffing my face continuously over the festive season) I said yes. They're designed to flatter your curves and help lift and shape. Cut with curved seams and double darts to help enhance your silhouette. Made with a good stretch denim and high waisted, I was chuffed with how these made my bum look to be honest. I don't normally wear straight leg jeans to be fair but I like these, they're versatile and can be worn in or out of boots. I wore them tucked in because being the short arse that I am, these are currently too long for me. I need to alter them to the right length!!! Sizing for me was a bit of a pain. I ordered a size 10 first but they were a touch too big so changed them for a size 8 which are a little snug (need to work on those cheese & chocolate thighs!) a size 9 would be ideal but that's not gonna happen so my advice to you would be to order 2 different sizes and go from there. You can find all the details you need here. 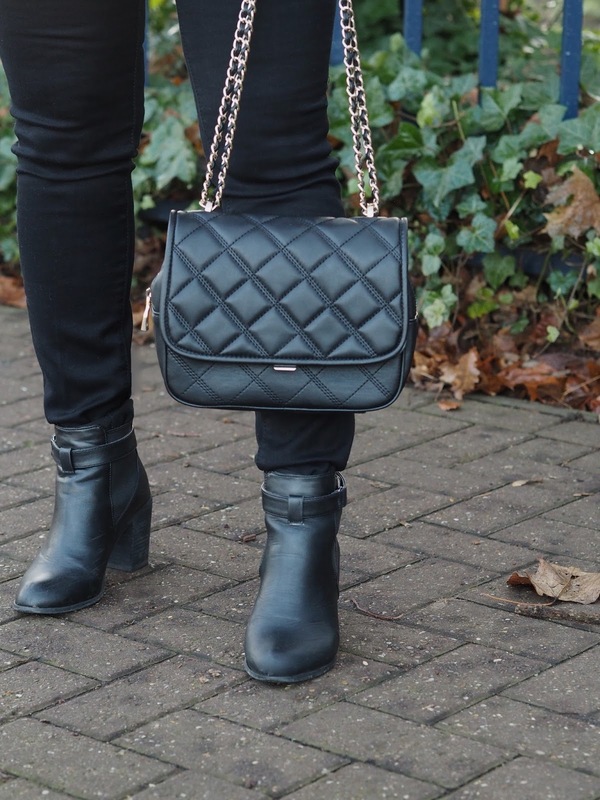 My gorgeous little quilted bag is from Zara, I picked it up a few weeks ago and I love it. It's very Chanel-esque don't you think? 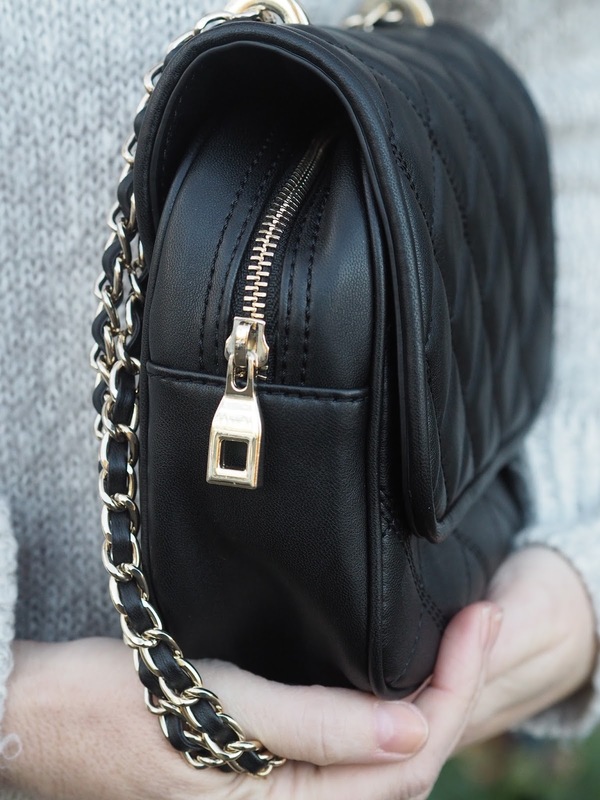 It's so roomy, I can fit everything in I need for a night out and it's big enough for daytime too fitting in my regular purse and makeup. I can't find this one on line but I did see one in my local store when I went in last week so if you're quick you may find one. My 2nd choice (which I also looked at in store) is this one, I thought I'd give you an online alternative and it's in the sale too. So there you have it, big cosy jumpers and jeans all winter long for me! 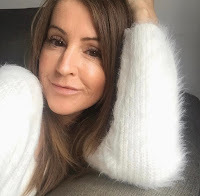 Are you loving cosy jumpers as much as I am right now? Straight leg jeans I generally save for nights out (when this happen.lol) but I practically live in skinnies. These look and sound like a great fit. And that bag is gorgeous! 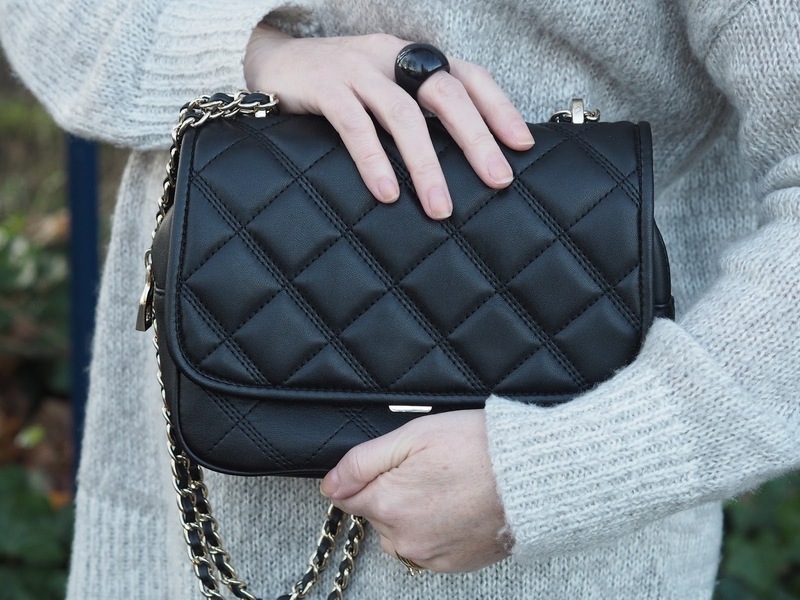 I have a quilted bag from Zara and I love it. Loving the chain strap though.. might have togo hunting..